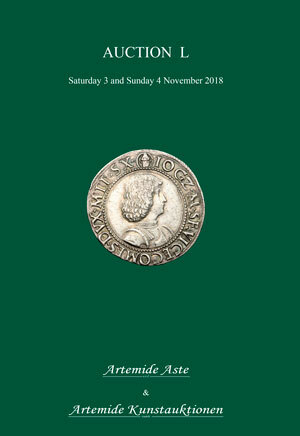 Coins 255 Q. Antonius Balbus. 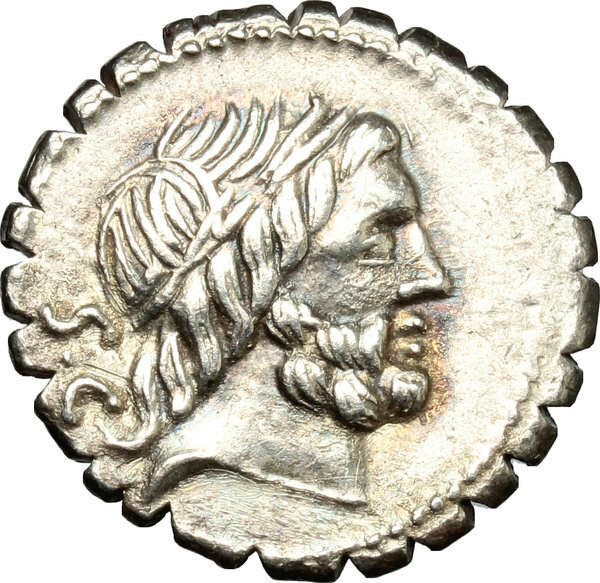 AR Denarius serratus, 83-82 BC. D/ Laureate head of Jupiter right, S.C behind. 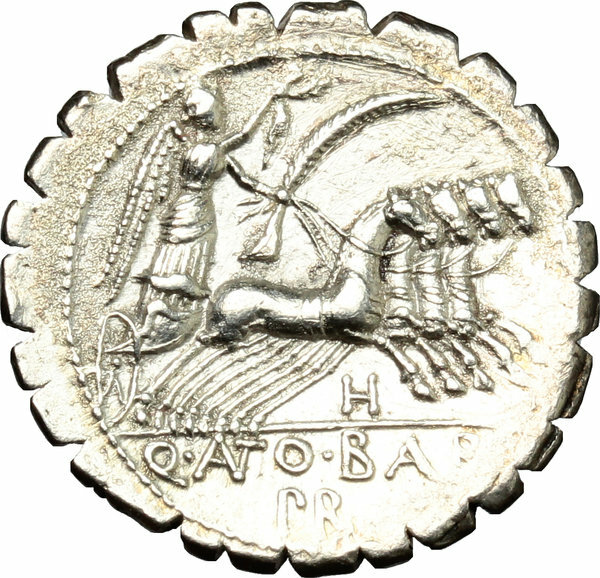 R/ Victory in quadriga right; below horses, H; in exergue, Q. ANTO. BALB/ PR. Cr. 364/1d. AR. g. 3.93 mm. 19.00 A very attractive example, lightly toned, with golden hues. EF.